Brooklyn Flagship classes take place weekly on Wednesdays 2:15-3:30 pm at the Mark Morris Dance Center and do not require registration. More information about our Brooklyn program is available here. Please visit class pages for Manhattan, Queens and The Bronx for more information and schedules. To provide feedback about a particular NYC class, please click here. For information and schedules for affiliated classes around the world, please click here. For our training workshop schedule, please click here. Your support helps keep our classes free of charge for participants and their families and care partners. Please consider making a tax-deductible contribution to support the program. No advanced registration required. Call (718) 624-8400 for more information and to confirm schedule. Registration now open. Returning participants may register above; first-time visitors should call (718) 218-3373 to sign up. Registration now open. Returning participants may register above; first-time visitors should call (718) 218-3373 to sign up. Participants may register for either the morning or afternoon series of classes at The Juilliard School, but not both. Registration now open. Returning participants may register above; first-time visitors should call (718) 218-3373 to sign up. There is no registration limit at this location. Registration now open. Returning participants may register above; first-time visitors should call (718) 218-3373 to sign up. Registration is limited to three classes per month at this location. Registration opens Tuesday, April 23 at 9 AM. Returning participants may register above; first-time visitors should call (718) 218-3373 to sign up. Registration opens Tuesday, April 23 at 9 AM. At that time, returning participants may register above; first-time visitors should call (718) 218-3373 to sign up. 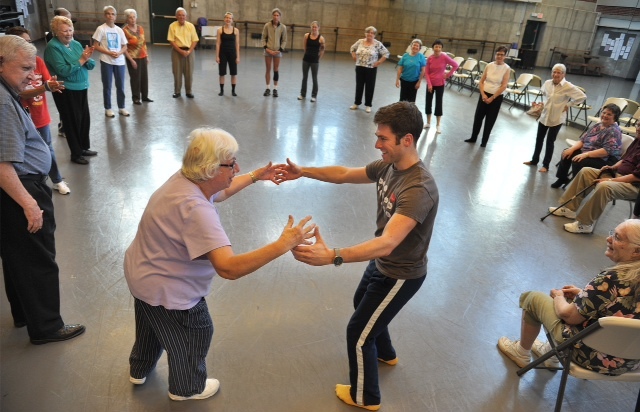 Participants may register for either the morning or afternoon series of classes at The Juilliard School, but not both. Registration opens Tuesday, April 23 at 9 AM. At that time, returning participants may register above; first-time visitors should call (718) 218-3373 to sign up. There is no registration limit at this location. Registration is opens Tuesday, April 23 at 9 AM. Returning participants may register above; first-time visitors should call (718) 218-3373 to sign up. Registration is limited to three classes per month at this location. Registration opens Tuesday, April 23 at 9 AM. Returning participants may register above; first-time visitors should call (718) 218-3373 to sign up. There is no registration limit at this location. Registration opens Tuesday, April 23 at 9 AM. At that time, returning participants may register above; first-time visitors should call (718) 218-3373 to sign up.